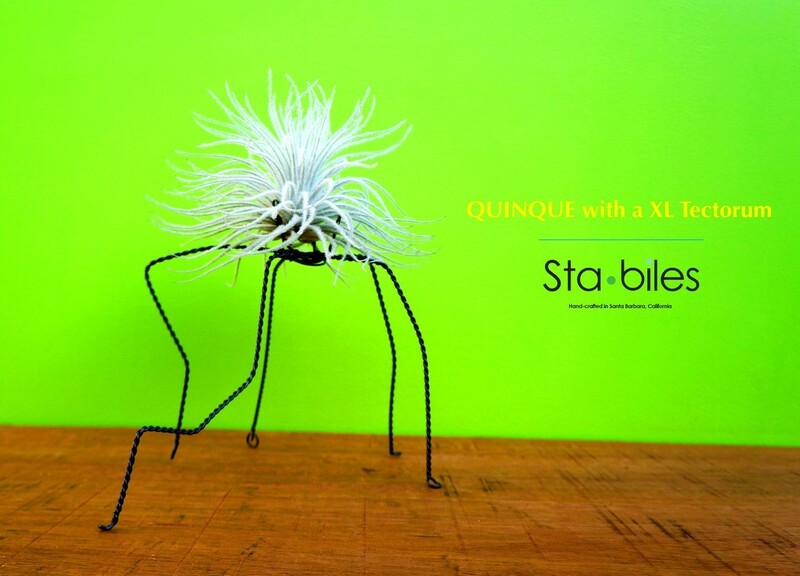 Quinque is our five-legged-legged single wire sculpture that takes your imagination to a unique place. 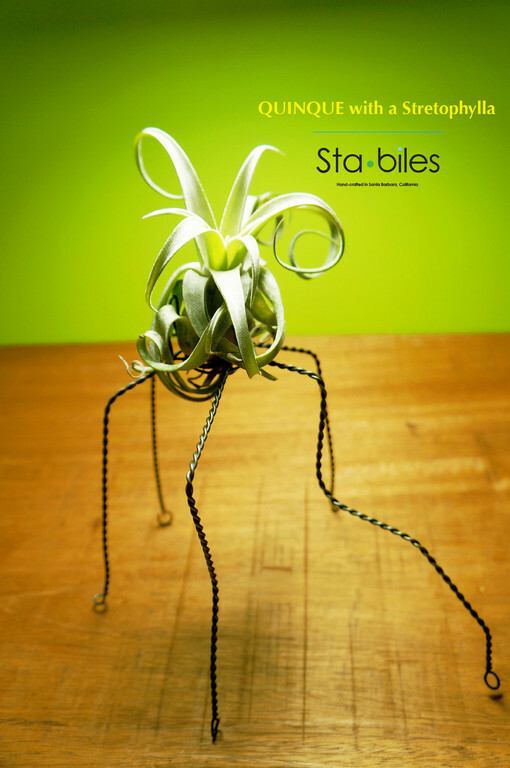 The idea was to create some creative extensions for the Tillandsia’s. 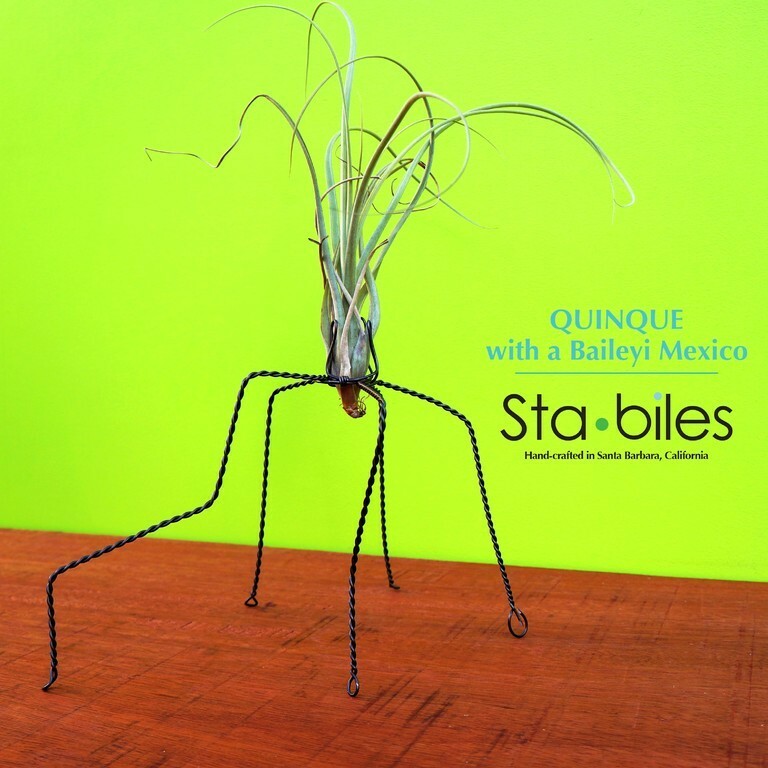 The Quinque shows some virtual movement with one of the legs extending and reaching towards the front, the rest curl and follow behind. Let the conversation take its course with this sculpture. It is available in two sizes this is the larger version of the two.